A couple of months ago my brother bought me a pair of AirPods as a birthday present. I’ve had some time to use them and while I don’t usually write reviews, I thought I would share my experiences, in case you’re considering buying a pair. 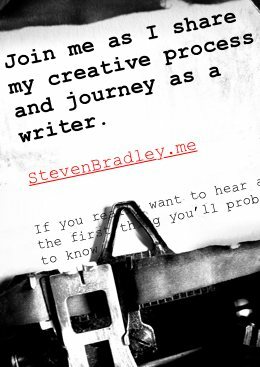 If you want the quick version, I like them and use them every day and throughout the day. They aren’t perfect, but they’ve exceeded my expectations in every way. They’ve replaced two other bluetooth devices and my AirPods can usually be found in my pocket or within arm’s reach. I would gladly recommend them to anything thinking about buying a pair. If you’d like to know why, read on. Odds are we have different use cases for wireless headphones so let me begin with a little background for why I wanted a pair of AirPods. Believe it or not, I do use my iPhone as a phone and when I do I prefer talking hands free. In the past it let me speak to clients while typing out notes of our conversation and hands free phone time allows me to do things like cook dinner or clean my place, while I talk to family and friends. For several years I’ve used a Plantronics bluetooth headset. It’s done its job well, but as it’s aged, it occasionally drops the signal during conversations. I can always hear others well, but several people have told me often enough that my voice drops at times and I figured I was due for a new headset. A new one from Plantronics would cost about $100 (minus any discounts I could find) and I thought I’d take a chance and see if the AirPods and their W1 chip would prevent the signal from dropping. I figured the worst case would be that I would return them. In addition to the headset, I have a pair of inexpensive wireless headphones that I use to listen to podcasts or watch videos throughout the day. They work fine, but it’s a pain to connect them to my laptop or any of my other devices. I hoped the AirPods would also replace these headphones, but if all they could do was replace the headset, I’d expected I’d be fine with the purchase. How Easy or Hard are They to Buy? If you’ve been thinking about buying a pair of AirPods, you’re likely aware of the six week wait time when ordering through Apple’s site and you probably know they’re hard to find in stores. My brother and I didn’t have that problem. He was visiting the week before my birthday and we walked into an Apple store in the morning and asked if they had any AirPods in stock and the salesperson brought a pair out from the back. I tell you, not to boast about our luck, but to share how you might be able to do something similar. There are sites that are tracking in-store stock and when I checked the store nearest me I noticed a pattern where they would have them in stock and then a half hour later be sold out. I’d previously asked people in the store and they told me they get AirPods in regularly, but sell them quickly. Check when your store gets delivery and go in as soon after as you can. You can probably get a pair in less than six weeks that way. Otherwise order them online. Six weeks really isn’t that long to wait. How Well Do They Pair and Connect? That probably depends on what devices they’re connecting to. In my case the AirPods connect to a MacBook Pro, an iPhone, and an iPad. 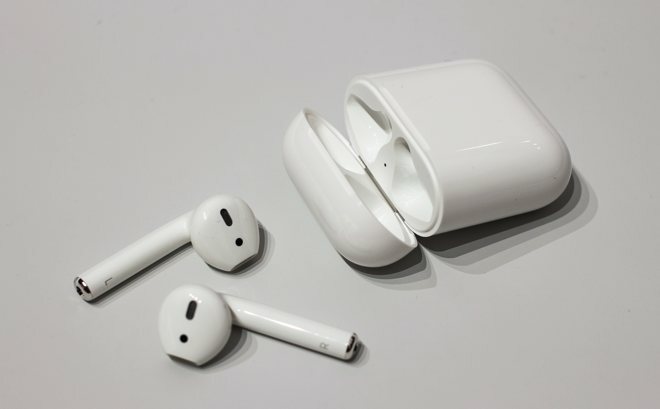 AirPods include the W1 chip which builds on top of ordinary bluetooth. In order to take advantage of what the W1 can do, you need to connect to Apple devices. The AirPods will work with a Windows laptop or an Android phone, but understand they’ll work like any other bluetooth device. Keep that in mind and know that my opinion is based on pairing and connecting the AirPods to MacOS and iOS devices. The initial pairing was incredibly easy. I flipped open the case next to my unlocked iPhone and a card slid up on the phone asking if I wanted to pair the devices. I said yes and within moments the AirPods were paired with every Apple device I own that’s also connected to iCloud. I did need to follow this quick tip to remove the AirPods from their case. By default they’ll pair to the last device they were connected to, but changing from one device to the another is a matter of selecting the AirPods from the list of connected bluetooth devices and the AirPods will show up on the list as long as the device is connected to iCloud. Once or twice one of the AirPods wouldn’t connect, while the other did. I don’t know why, but I’ve found that returning both to the case and then starting over was the fix. It’s a little annoying, though it’s not a frequent issue. Removing either AirPod pauses whatever you’re listening to. If you return it, playback starts again. This hasn’t been perfect. A couple of times the playback started while an AirPod was in my hand, but I think it’s because I moved my hand in a way that suggested I was putting it back in my ear. Will They Fit in My Ears? Like many people, I was concerned if the AirPods would offer a comfortable fit and stay in my ears. I don’t like in-ear headphones as a rule (I never take the wired EarPods out of the box) and prefer over the ear headphones instead. My Plantronics headset was in-ear though, and it didn’t bother me for the duration of phone calls so I figured I’d take a chance. They fit much more comfortably than I expected. Obviously this will depend on the shape of your ears, but keep in mind I’ve never found in-ear headphones comfortable before. While I generally find the AirPods offer a comfortable fit, they can get uncomfortable after prolonged use like all in-ear headphones. A slight turn to point the mic part a little higher or lower usually makes them comfortable again and by prolonged use, I mean several hours of continued use. Most of the time I don’t keep them in for hours at a time so it’s not an issue. If anything, they fit well enough that I forget they’re still in my ears at times. I wouldn’t wear them while out for a run, but I’m not worried about them falling out. I’ve tried to shake my head to get them to fall out and it never works. They’re so light it would take more force than you can create shaking your head to shake the AirPods lose. When wired headphones fall out, it’s because of the wire more than anything. If you’re worried about losing them because they might fall out, I wouldn’t worry. If you’re afraid of misplacing them because they’re so small, then place them back in the case when you take them out of your ear. If you’re the kind of person who misplaces your keys and your phone regularly, you might also misplace your AirPods, but don’t blame the AirPods for that. No one is going to accuse the AirPods of being a great pair of headphones for listening to music. There’s not a lot of bass, but I don’t know why anyone would expect much bass from a speaker so small. I have much better headphones for when I want to listen to music. That said, the AirPods sound much better than I expected and I have listened to music with them. They wouldn’t be my first choice, but they’re definitely workable in a pinch. They sound better than the wireless headphones I was using for podcasts and everyone who’s spoken to me on the phone has said I sound clearer than it used to and my voice hasn’t dropped once. Also since I don’t really use them to listen to music, I don’t have a need for playback controls. Removing one to pause playback works for my needs. I do think more gestures or tapping controls would be a good thing and hopefully Apple will add more in the future. Do They Get Good Battery Life? Battery life hasn’t been an issue at all. A couple of weeks ago I was cleaning my place and listening to podcasts all morning. It’s one of the few cases where I did leave the AirPods in for an extended period of time. After about five hours of non-stop use, the AirPods started beeping. When I checked how much charge they had left, one side had run down to about 20% and the other side was under 10%. I popped them into the case and within 10 minutes or so, both were up to 70% again. I’m no longer concerned about the battery running down. Whenever I take the AirPods out of my ears, I place them back in the case and they quickly recharge. Once or twice a week, I plug the case in while I sleep so it too gets recharged. When the AirPods are last paired with an iOS device, a card will pop up on that device when you open the AirPods case to let you know exactly how much battery life is left. Unfortunately there’s no way I could find to launch the card on iOS if the AirPods are already out of the case and in use. You have to put them back in the case and then reopen it. On the Mac you can get the same information by checking what devices are connected through bluetooth. Siri works, but I don’t use it. That’s not meant as a knock on Siri. I just don’t have much need for a voice interface at the moment. Maybe if Siri didn’t have to connect to the internet or repeat everything you say to double check that it heard you correctly I would use Siri more, but since it does, I find I can usually pull out my phone or type something on my laptop quicker than Siri can do it for me. I have tried Siri to test it though, and it has worked fine, including starting and stopping playback and raising and lowering the volume. I’ll add again that more gestures or tap controls would still be welcome. Who cares? They sit in my ears and I never see them. I mainly wear them around the house where no one has to see me wearing them and I’m not someone who’s consumed with how other people think I look. If you’re self-conscious about wearing them out, then don’t wear them out. The AirPods are useful even in your home and you can buy another pair of headphones that look better when you aren’t at home. As much as I like them, I don’t want to leave you with the impression that the AirPods are perfect. I’ve already mentioned the lack of controls on the device and an occasional hiccup in pairing. Neither is an issue for me, but I can understand how they might be for someone who isn’t me. I have a feeling gestures will be more difficult to implement than people think, given how small the AirPods are and I’m not sure how crazy I am about tapping something further into my ear. Pairing issues are nearly non-existent, though they do exist here and there. They happen more connecting to my MacBook than to either of my iOS devices, though more is relative as I don’t think I’ve had any issues pairing to an iOS device. Even with the occasional hiccup, they still pair and connect better than any other bluetooth device I’ve ever owned so I can’t really complain about the imperfection. One thing I’d wish the AirPods could do is switch to my phone to accept a call quicker. I’m often listening to a podcast on my MacBook. When the phone rings, it would be great if I can take one AirPod out and have the other switch over to the take the call or I can offer a voice command to tell them to. As far as I can tell, the AirPods can’t do either and I have to manually change the connection to my phone. It’s hardly a great effort, but it still takes a few seconds in which I can’t hear the other person on the call. Again, these aren’t the first headphones you’d reach for to listen to music. Most people won’t care, but if you’re the type of person who needs better sound, get yourself a pair of good headphones. Of course, if you do need better sound, I don’t know why you would be looking for wireless headphones in general or in-ear headphones in particular. I’ve seen quite a few people say that the AirPods are their favorite Apple product in years. You can add me to the list. That wasn’t a high bar for me as I haven’t been enamored of most of Apple’s recent products, but I have say that after two months I am enamored of the AirPods. I use them every day and I use them throughout the day. When I’m not using the AirPods the case is either in my pocket or within arm’s reach. They’ve become a convenient way for me to listen to audio on any of my devices. I listen to a podcast and when I’m done I place them back in the case. I take one out to make a phone call and then grab the other to watch a video. Then I put them back in the case until there’s something else I want to listen to. I can imagine Apple coming out with a line of bluetooth speakers with the latest Wx chip (Update: After WWDC it looks like they’ve already started). The AirPods do connect better and stay connected longer than any other bluetooth device I’ve ever owned and I’ve been all wireless for a long time now. That’s everything I can think to say about the AirPods. If you have any questions feel free to ask in a comment. My use may differ from your intended use, but I’ll do my best to answer. I guess the main thing to know is the AirPods have replaced two wireless devices for me. I haven’t used my bluetooth headset or my bluetooth headphones since the day I first used the AirPods. Where I used to have one device (my iPhone) with me at all times, I now have two. Just curious, you mentioned that the Airpods replaced two other Bluetooth devices. What were they and what needs/problems did the Airpods fix. My bluetooth headset just got old and didn’t connect as well as it used to. People kept telling me my voice would drop out during calls, though I always heard the other person fine. Everyone tells me the AirPods sound clear and my voice doesn’t drop at all so they fixed that issue. They also replaced a pair of wireless headphones I used to use, which didn’t give me any problems other than being a pain at times to connect through bluetooth at times. That wasn’t really a problem to fix, but the AirPods definitely connect better. Overall I’m really happy with the AirPods. I wasn’t sure what I’d think, but they’ve exceeded my expectations. If you’re thinking of getting a pair, you’ll probably like them too and you do have a couple of weeks to return them if not.